Summer is here and it’s the perfect time to enjoy the great outdoors, even if just in your own backyard. Does your yard or patio need a little sprucing up? Perhaps you’re dreaming of hosting a summer party but your outdoor space isn’t quite guest-ready. 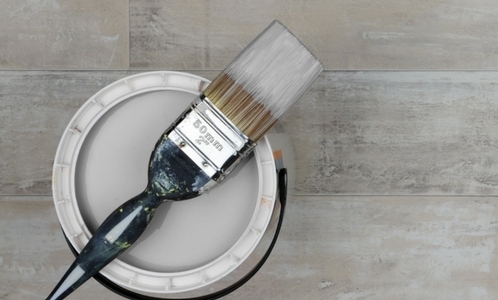 Don’t worry, we’ve got some simple and affordable DIY projects that might help you inject a little curb appeal and make your home the place to be this summer. Knoxville is a great place to live because of each distinct season, but those seasons can also wreak havoc on outdoor furniture. One of our favorite DIY projects to freshen up patio furniture involves simple spray paint. You will want to thoroughly clean your furniture first to remove any dust or debris. If older layers of paint are chipping off, a wire brush might come in handy to smooth the surfaces. Anytime you are removing old layers of paint, take precaution by wearing a dust mask (available at your local hardware store). This is one of those DIY projects that allows you to get really creative and let your style shine through. There are so many shades and textures of spray paint to select from, with options for painting nearly every type of surface. Bright cheerful colors are sure to pop on your summer patio while peaceful neutrals and trendy metallics can create a more lush, sophisticated result. Another great way to add some life to your backyard or patio space is by planting a container herb garden. Not only are they fairly easy to create, but container herb gardens are also one of those DIY projects that serve many purposes. First, fresh herbs add lots of flavor to your cooking, which will come in handy as you plan a menu for your next summer party. Next, you can choose colorful containers or pots that complement your patio style for lots of visual impact. Finally, certain herbs are known to repel insects, including those pesky mosquitoes that love to crash outdoor gatherings. Basil, lavender, and mint are three great multipurpose herbs to grow. One great way to make sure you are ready for every possible impromptu summer gathering is by assembling a summer party kit. Your DIY party kit might include things like disposable plates, cups, and napkins as well as fun decorative items such as a piñata or strings of colorful lights. You could also include sunscreen or battery-powered, handheld misting fans for your guests. And don’t forget skewers for roasting hot dogs or marshmallows for s’mores. An old wooden crate or a plastic bin makes a great container for your party kit. This is one of those DIY projects that requires a little work on the front end but makes things much easier later on. Having all your essential party supplies gathered together will make organizing your next outdoor summer party easier and less stressful. These are just a few simple DIY projects you might want to tackle this summer around your home in Knoxville. Get your outdoor space or patio ready and your next impromptu party will sure to be memorable for your guests!